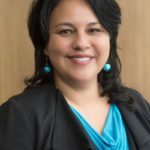 Paola Ardiles is a public health champion, educator and social entrepreneur. Her work is rooted in community engaged scholarship, participatory practice and social innovation. As a practitioner scholar, she has published and contributed to work ranging from health equity issues to system approaches towards wellbeing in higher ed. In 2012, Paola was awarded Dr. Nancy Hall Public Policy Leadership Award of Distinction, for her local, provincial and national work to advance mental health in Canada. In 2013, Paola founded Bridge for Health, a local & global network focused on citizen and youth engagement to promote health & wellbeing. Bridge for Health became an incubator for social innovation and was established as a co-op association, receiving the 2017 Coast Capital Savings Venture Award for Social Impact for its efforts to advance wellbeing in the workplace. Since 2013, Paola has been teaching and mentoring at Simon Fraser University. She has developed new undergraduate and graduate experiential courses in Health Promotion & Social Innovation. In 2016, in collaboration with academic & community partners, Paola co-designed the new Health Change Lab, an experiential program to help students identify community health challenges in the city of Surrey and design innovative & entrepreneurial solutions. She received the 2017 Surrey Board of Trade-Women in Business, Social Trailblazer award. Paola has 15 + years of leadership and facilitation experience, plus a passion for creating and leading innovative, collaborative and multi-sectoral initiatives. She received the inaugural 2017 Health Promotion Canada’s Mid Career national award and was recognized as one of TD Bank’s 10 most influential Hispanic Canadians. Most recently, Paola received the inaugural SFU President’s Social Media Newsmaker Award. Paola serves as the immediate Past President of the Public Health Association of British Columbia, a non-for-profit organization.